The Logos Ladies recently hosted “TARANDA” at the October Fest in Liberty Hall. The halls of Washington High School were recently filled with the sounds of one of the greatest voices to ever take a stage! Logos Ladies hosted “TARANDA” at the Logos October Fest held in Liberty Hall. Having performed from coast to coast, other countries, and even Carnegie Hall, Taranda did not disappoint. The auditorium was full of women from over 20 different churches in Fayette and surrounding counties. Jaw dropping notes rang out as the women listened and watched with eyes wide and total focus. The entire evening was much more than a meal and a concert. It was life-changing! 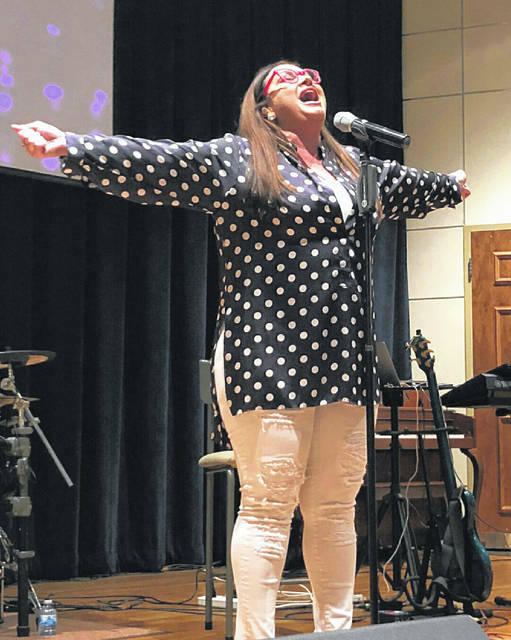 https://www.recordherald.com/wp-content/uploads/sites/27/2018/10/web1_IMG_6168.jpgThe Logos Ladies recently hosted “TARANDA” at the October Fest in Liberty Hall.